We are bespoke shoe makers. In our store we make anything you want, online we specialise in elevator shoes. But every time we specialise in you. Whether it's face to face or over the net, you can rest assured you have our full, undivided attention. That's why we're the Don. Bespoke in-store, bespoke elevator on-line. Always surprising. Challenge us. We like it. Bespoke Shoes Our Hand-welted Bespoke, Semi-Bespoke, MTO, RTW, Regular shoes. Handmade to your specifications. 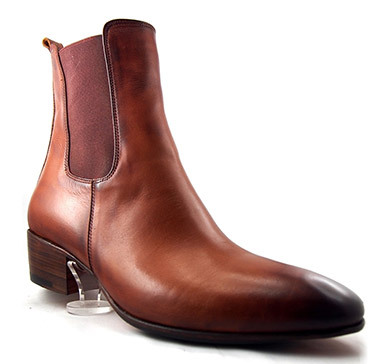 Cuban Heel Boots Cuban Heels Boots are making a come back and you can get your very own luxury cuban heel shoe hand made. 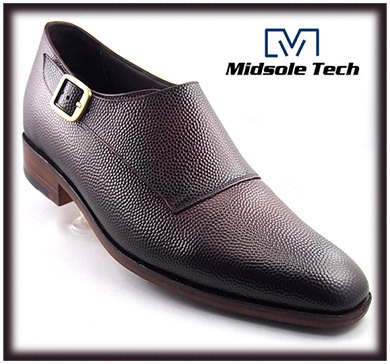 Midsole Technology Ever wished to have a pair of elevator shoes that felt just like a pair of trainers? Now you can. What Makes Don's Footwear Unique? All Don's shoes are traditionally hand-made, this investment of time and care in the construction of each pair is apparent as soon as you slip into them. 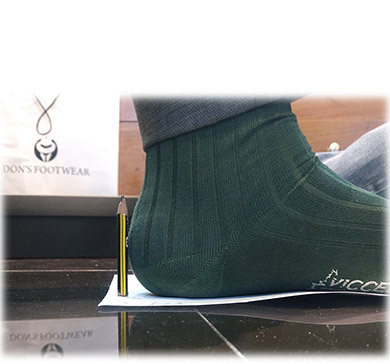 Everyone who tries them on will feel the difference of Don's when compared with the average elevator shoe. This difference is not only due to the ardent way they are created, but also that they use the UK & US half size measurement with every half size differentiating by 2.5 millimetres, as opposed to the European sizing system which leaps 6.6 millimetres. 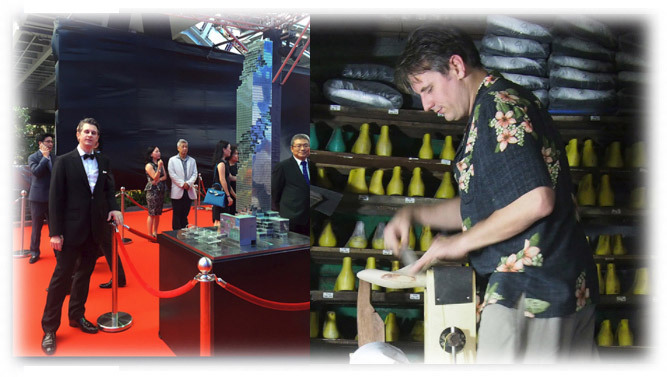 The result of this combination of production techniques is both distinct and palpable, and, as Don's shoes ranges from size 4 to 15 including every half size in between, they certainly have the perfect size for everyone. In terms of styling, the website carries many different takes on elegant, business oriented footwear. The range encompasses classical styles, through to those with a more modern dynamic and all are hand crafted from the finest quality leather uppers and softest calf skin liners – indeed, only as elevator shoes should be. So not only will you feel fantastic, you’ll look fantastic, too, as you go about your business. 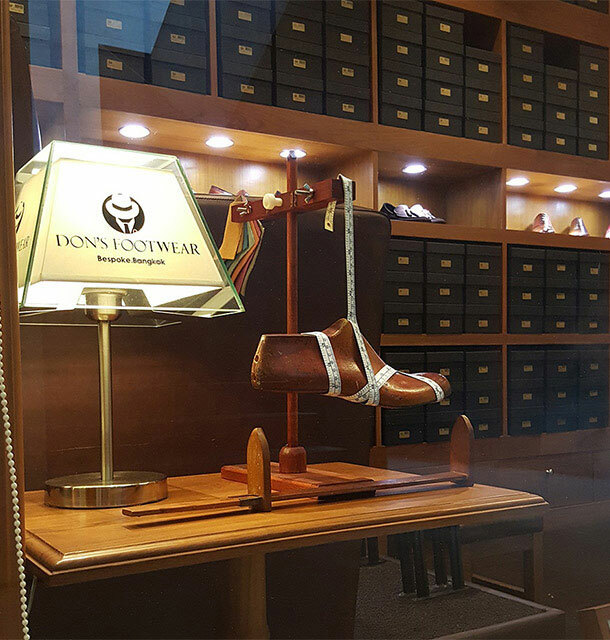 If you’re looking for some new shoes or just want to find something new and exciting in the world of men’s footwear, then Don's Footwear should be your destination.